When Nissan owners need auto repair in Indianapolis, they rely on the team at ASG Automotive. Our ASE-Certified and Bosch-Certified auto mechanics offer fast and thorough services, and we will get you and your family back on the road in a safe vehicle as quickly as possible. Because we pay close attention to auto repair and customer service with integrity, we create long-term relationships with our clients. If your Nissan is showing signs that it needs to be repaired, don’t hesitate to schedule an appointment with an auto repair shop. Ignoring automobile problems could put you and your passengers in a dangerous situation on the road. The owner, Craig Douglas, and his team of master auto mechanics at ASG Automotive have a commitment to customers that is unmatched. From the moment that you walk into our state-of-the-art facilities in Indianapolis, you’ll be confident that you have made the right choice. ASG Automotive is not like the other auto repair shops Indianapolis. We aim to make your entire experience hassle-free and seamless. 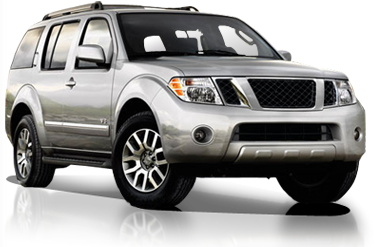 Our expert auto mechanics have years of experience in Nissan repair. We want our customers to be 100% confident that we have their best interest at heart. For example, we provide discounted rental cars through Enterprise, free shuttle service, and have a 4-year/48K-mile nationwide warranty. Nowadays, it may seem as if you have to make a choice between personable customer service and excellent auto repair. At ASG Automotive, you won’t have to compromise on convenience, transparent communication, or quality auto service. With us, you can have it all. To schedule an appointment for service for Nissan repair, call us at (317) 826-2906. We are located at 5841 Thunderbird Road, Suite 3 in Indianapolis, IN 46236.